Did men and women of redoubtable experience and public service, upholders of the country's steel frame and paragons of corporate governance, never smell a rat? asks Sunil Sethi. The collapse of development conglomerate Infrastructure Leasing & Financial Services (IL&FS) is one of the gripping financial whodunits of our time. It brings to mind a popular Sherlock Holmes mystery in which a prize-winning race horse goes missing before an important race, and its trainer also vanishes. The entire story hinges on the 'curious incident of the dog in the night-time'. If the nefarious goings-on happened in the presence of a watchdog, why didn't the dog bark? That, concludes Holmes, is precisely the point. The intruder was known to the dog. 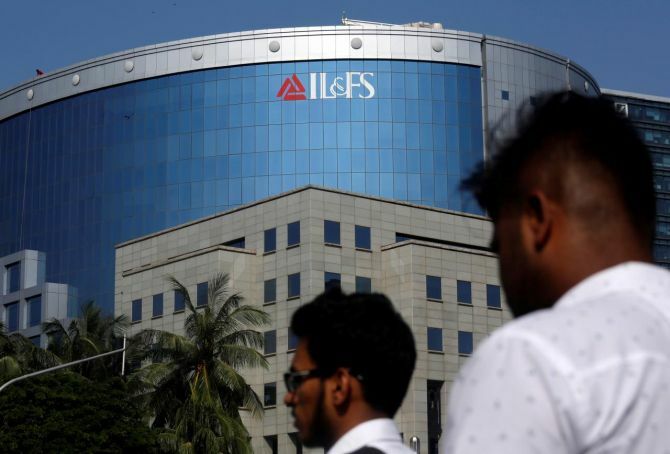 The curiosity of the mismanagement at IL&FS, of Titanic-sized proportions that's gone down with a debt of Rs 910 billion, is that there were watchdogs aplenty. Its independent directors, now sacked, included stellar names of Indian industry such as Maruti Chairman R C Bhargava and former banker and IT entrepreneur Jerry Rao. Public sector behemoths such as Life Insurance Corporation and State Bank of India, custodians of the savings of millions, are among its owners. No one protested or resigned as the ship began to sink though there is finger-pointing now at obstructionist shareholders and unreliable auditors. Several high-ranking civil servants were on its payrolls. While some quit government to join as paid-up IL&FS employees on fancy salaries others such as D K Mittal and Aruna Sundarajan, later banking and telecom secretaries, respectively, had their moment in the sun on deputation to the company. Did these men and women of redoubtable experience and public service, upholders of the country's steel frame and paragons of corporate governance, never smell a rat? Did they not ask how IL&FS secured endless state government projects, virtually from Kashmir to Kanyakumari, in building everything from tunnels, toll bridges and hi tech cities to verticals in water, power and engineering? Or some of the unscrupulous ways and means by which it made money and spent it before going belly-up? If the company's large network of political, bureaucratic and banking connections reeks of favour-trading, conflict of interest and dereliction of duty, not much is known about its creator, Ravi Parthasarathy, who presided over a byzantine maze of several hundred subsidiaries and joint ventures for two decades. Other than he enjoyed smoking pipes, was a Wimbledon fan and rewarded himself with a fat pay hike, the IIM-Ahmedabad graduate and former banker is an enigmatic figure; more so since he left for London after stepping down, citing health problems before the approaching storm. Whether the authorities -- now embarked on a fraud inquiry -- can bring him back, or he will join stayers-on like Lalit Modi, Vijay Mallya and Nirav Modi is an open question. Although IL&FS had its tentacles everywhere Mr Parthasarthy is said to have run a tight ship. The business analyst Sucheta Dalal gives examples of the company's 'flamboyant, high-spending ways' and its complex, pyramid-like structure with a few cronies pirouetting at the apex like obsolete managing agency-style bosses -- shades of long-nationalised firms like Andrew Yule and Bird & Co.
Land from state governments was often acquired at throwaway prices, then 'any cost or fee that could be pushed past the state government was loaded on to the project' before it even got off the ground. Ms Dalal quotes instances of the Tirupur water project in Tamil Nadu and the Tamil Nadu Road Development Company where huge profits were skimmed off and ended in litigation. Mr Parthasarathy was kicked out of the roadways joint venture and the government took over. The case of the NOIDA Toll Bridge company was as flagrant. IL&FS sold part of the government land for a nice profit but when costs escalated it sought to increase the concession period from 30 to 100 years! It was only when the toll-fee paying public woke up to the jiggery-pokery that the Supreme Court intervened to abolish the toll. Pride of its partnerships is the Gujarat International Finance Tec-City, a 359-hectare smart city development on the Sabarmati's banks, better known by the ironic acronym GIFT. However, GIFT's head auditor D C Anjaria alleged in 2016 that the Rs 700 billion venture was practically a gift to IL&FS and cause of heavy losses to the Gujarat exchequer. As in the twisted Sherlockian mystery of the disappeared race horse and its trainer, the puzzle is that none of the guard dogs barked at the growing IL&FS debt on loan defaults. Of this distinguished assembly of captains of industry, civil servants and bankers were also representatives of public sector shareholders and foreign investors. Yet they blindly followed the old axiom: Government and management are always right. Except management is wrong when government says so. The watchdogs that didn't bark have now come back to bite the government -- at the taxpayers' expense of course. Chanda Kochhar falls on her sword, but why now?